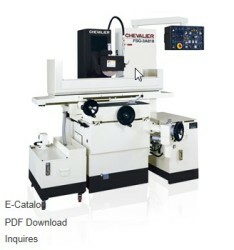 1.Patented Elevation Guideways and Spindle Structure. 6.Machine Base and Table Design. 1.A patented coupling type clamping system along with 8 hydraulic locking pins keep the tool in place during heavy stock removal. 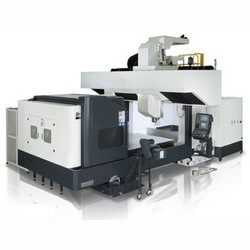 1.Easy loading and unloading of workpieces. 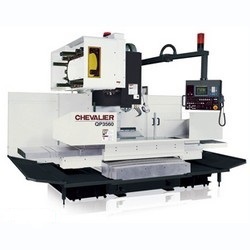 2.Minimum clamping required because the workpiece weight sets and holds the part in place. No more workppiece warpage caused by hard clamping. 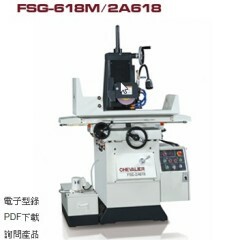 1.No overhang caused by chuck and workpiece, accuracy and surface finish is better than universal grinder. 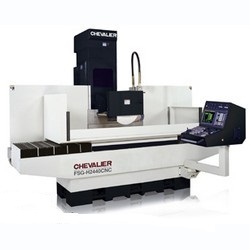 2.Y-axis can swivel ±22o30', head stock also can rotate ±22o30', suitable for various grinding application. 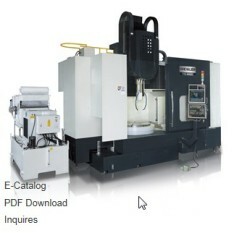 1.608LM offering 2.5G acceleration for your ultra hard workpiece high speed grinding. 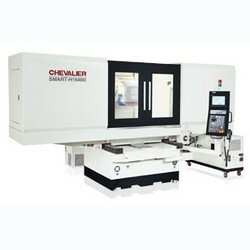 * A Combination of a High Precision Manual Lathe. 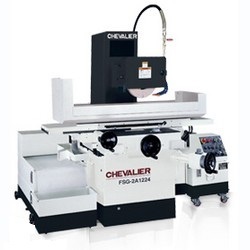 * A Lathe with Digital Readout. 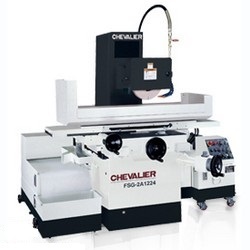 * A Lathe with Powerfeed and Jog Modes. 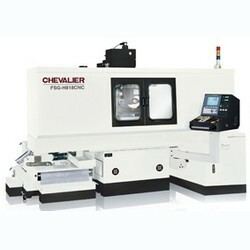 * A Lathe with Teach Mode for CNC Turning. 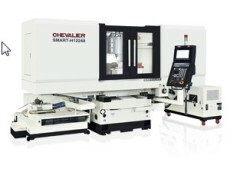 * A Lathe with Fully CNC Capability Operation. * High rigidity construction provide high performance. * Linear ways design on X/Y axes, Heavy duty box ways on Z axis. 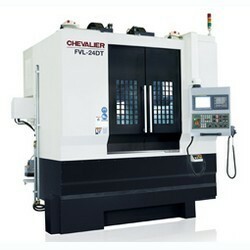 * Five face milling head with ZF gear box for heavy and high speed cutting. 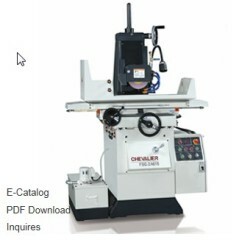 * By adopting 4 hardened square ways on OP2855,QP3560 & QP3572,and 6 hardened square ways on QP4088 & QP40128,and 8 hardened square ways on OP40168, on machine base, this design offers the most rigid support for X axis and Y axis loading. 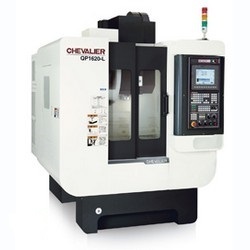 * High precision heavy duty spindle design . * Stable feed , superior accuracy. * Smooth and accurate wheelhead movement. * Automatic wheel dressing with. 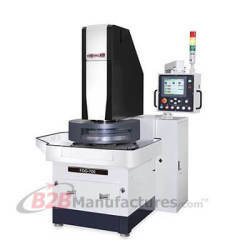 * The spindle is supported by 4 class P4 super precision angular contact ball bearings that are permanently lubricated. 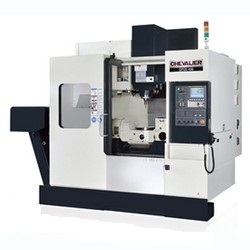 The new spindle design includes circulation grooves on spindle with options for air and oil cooling. 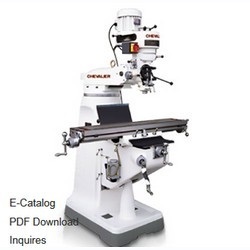 * Table traverses on linear ball bearings & D2 (SKD11) hardened & ground guide ways. * Reinforced ribbed column with hardened & ground guide way system. * Elevating & cross feed lead screws are hardened & ground. 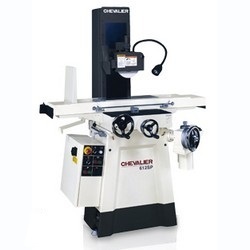 * This high precision surface and form grinder has been specially developed and improved in recent years. 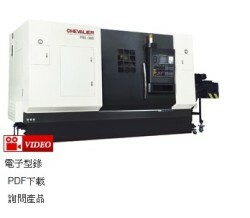 * The tool cabinet in machine base is specially designed for operator’s convenience (618m). * Spindle The spindle is supported by 4 class P4 super precision angular contact ball bearings that are permanently lubricated. 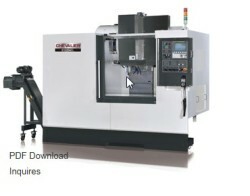 The new spindle design includes circulation grooves on spindle with options for air and oil cooling. * One-piece construction with slant back, owns high rigidity and reliability. 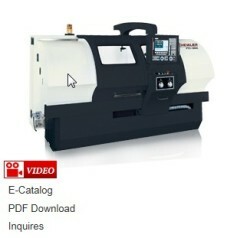 * Gang- type tool selection, which shorts tools changing time, and improve working efficiency. 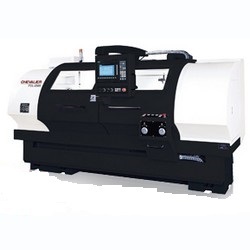 * These grinders have been specially developed and improved in recent years by us to continuously offer you reliable high performance precision surface grinders. 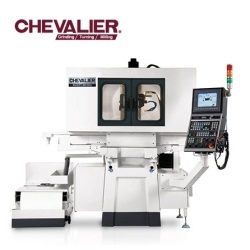 * High capacity for machine loading, with big torque and outstanding accuracy. 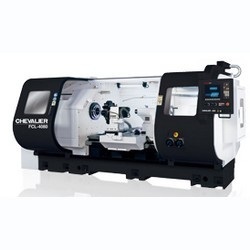 * Two-steps ZF gearbox (optional) makes the cutting capability being maximum. 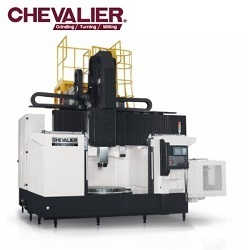 * No overhang caused by chuck and workpiece, accuracy and surface finish is better than universal grinder. 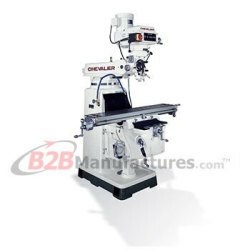 * Y-axis can swivel ±22o30', head stock also can rotate ±22o30', suitable for various grinding application. 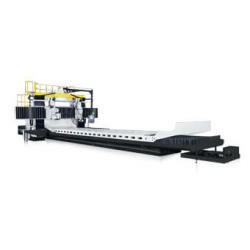 * The oversized column combined with box type beam construction features additional machine rigidity. 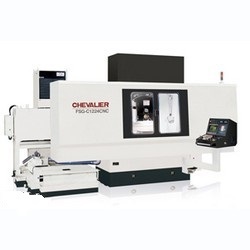 * Easy loading and unloading of workpieces. 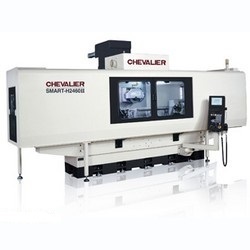 * Minimum clamping required because the workpiece weight sets and holds the part in place. No more workppiece warpage caused by hard clamping. * Dynamically Balanced Motor and Ground Pulleys. * Chrome-Plated and Bearing Supported Motor Shaft Provides An Extremely Smooth, Low Vibration Quiet Drive. 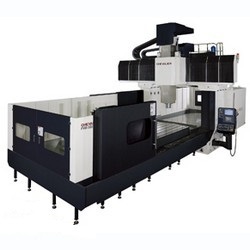 * High Precision Spindles Use Class 7 Angular Contact Bearings.